Wittenborg offers excellent students from outside the European Union the chance to study on one of its Master of Business Administration programmes, through the Wittenborg MBA Holland Scholarship programme. The Stichting Debbie Foundation will provide 10 Scholarships of 5,000 euro each for the Master of Business Administration (MBA) programme in all specialisations. The scholarships cover a partial tuition fee waiver for the 1.5 year duration of the MBA programmes. Additional fees for study extension are not covered. Terms and Conditions as found in the Education & Examination Guide (EEG) apply. 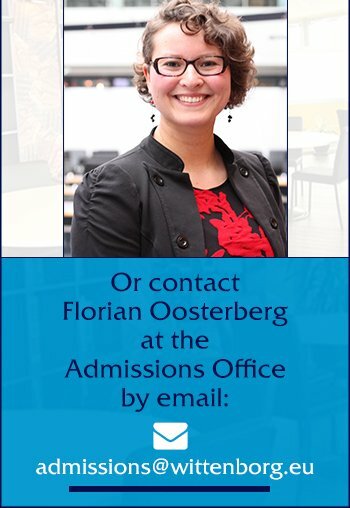 If you are interested in applying for the MBA Scholarship, please send your MBA personal application letter along with your programme application documents by email to admission@wittenborg.eu.